If you are looking for a new Poker Room to try, Full Flush Poker just might be for you. 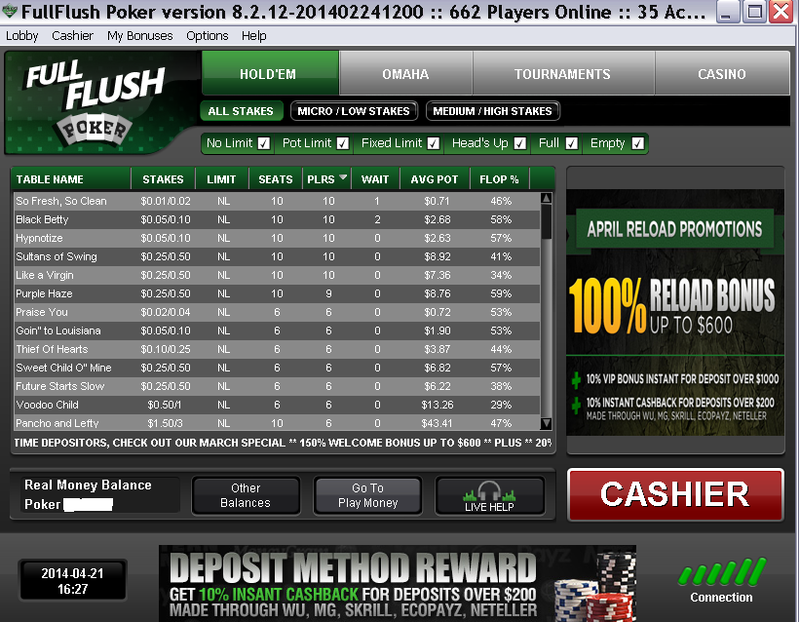 First established and officially launched in November of 2013, Full Flush is part of the Equity Poker Network. Equity is a Online Poker Co-op, the Equity Poker Network is a non-profit organization, so each room has basically the freedom to do as they wish in regards to Poker promotions and player programs. I signed up to see what they were all about and liked what I saw immediately! First Depositors of $50 or more get a instant 20% Bonus…….10% for Deposits on WU of $200 or more………..
You just do not see a Bonus offer like that anymore. 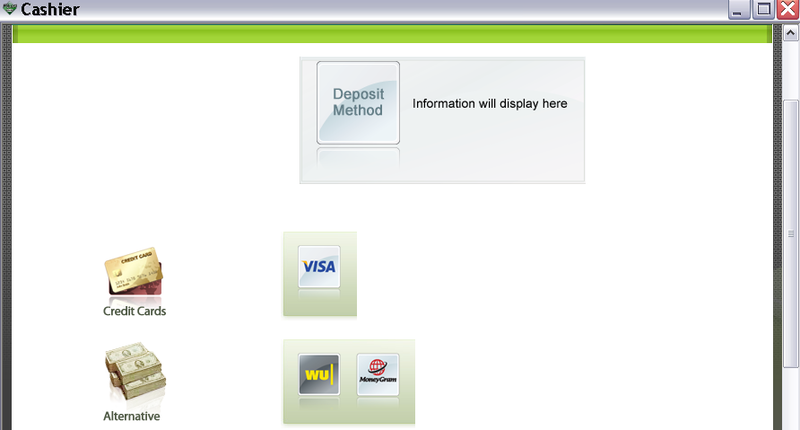 You also get a 150% Bonus on your actual deposit up to $600. If you deposit $100, you get $120 to play with and can earn up to 150% ($150 on the original $100) while playing. Player traffic is pretty solid for a new Room. My first day on Full Flush there were 600 players on at 3PM, 870 at 6PM and 900 at 11AM the next morning. It looks like there is a lot of European traffic driving the site currently, with the numbers I seen. Ring Games were very active up to the $1.50 /$3 tables. 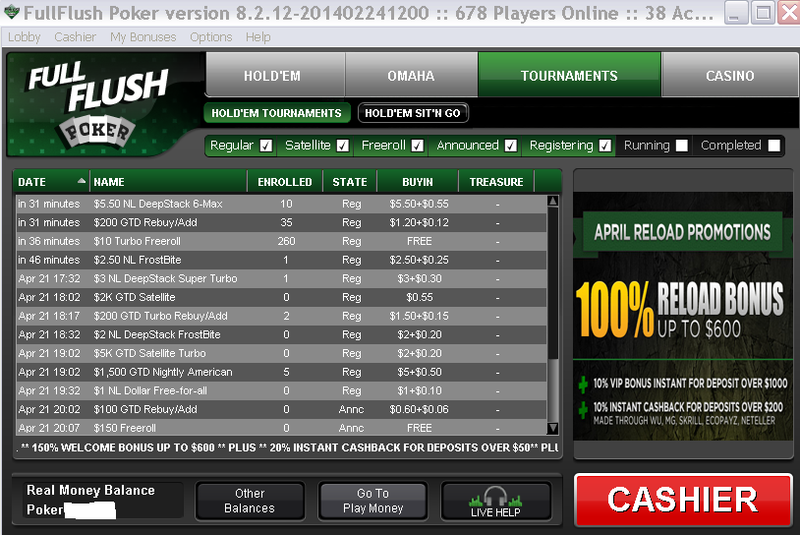 NLHE and Omaha are the primary games offered and the full Hold-em tables are 10 handed. POP Player Option Points are used to clear your Deposit Bonus and for Free Cash and tournament buy-ins. You earn 10 POP for every $1 you rake at any Ring game (10c=1 POP). You earn 10 POP for every full dollar (any fee under $1 will not count) you pay in tournament buy-in fees. You can check your POP status on your player account (click the POP transaction tab). Earn 100 POP get 50c, 200 POP=$1, 1000 POP=$5. 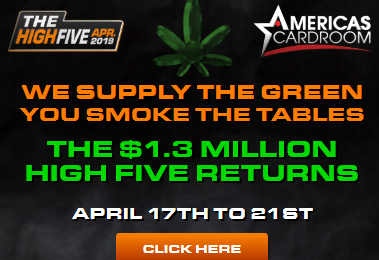 Tournaments include a Daily $1500 GTD with a $5.50 buy-in, a Saturday $2K with a $11 buy-in and a Weekly $10K with just a $27.50 buy-in every Sunday. 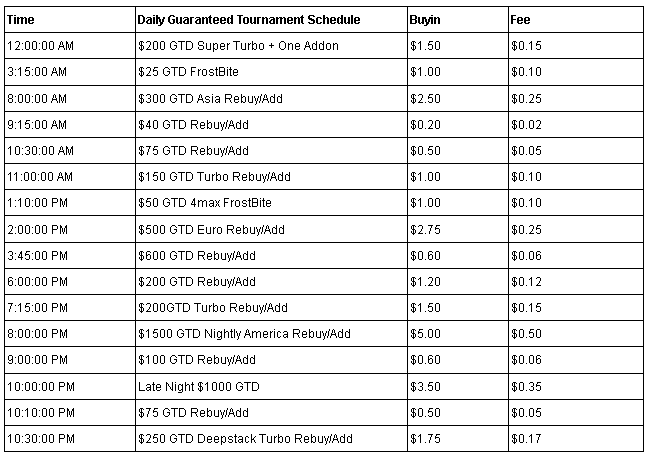 The entire daily tournament schedule is loaded with guarantees with very reasonable buy-ins. If your looking for a Free Roll to give Full Flush a try, there are $10, $50, $100 and a evening $150 free roll every day. Start playing the Freerolls tonight……..
Banking US Deposits ($25 minimum) you can use your Visa or use WU and MG (contact customer service for details). 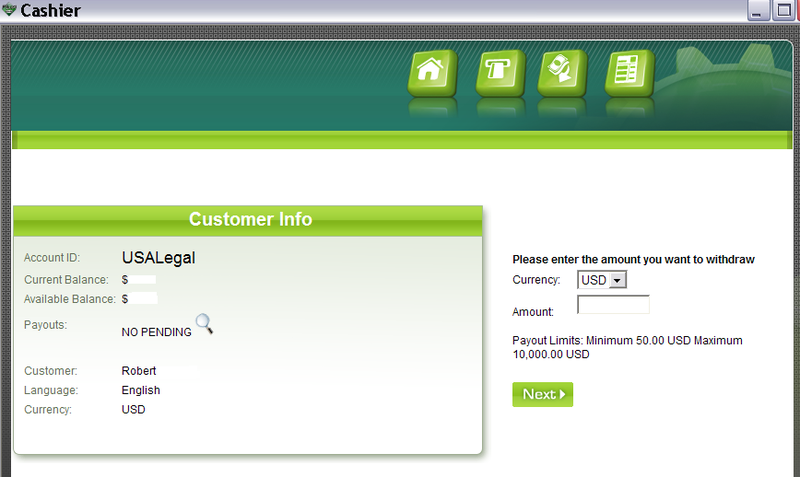 Worldwide Players can also use Skrill, Netteller and ecoPayz for their Banking services. The software looked very familiar, it is the exact same as used by many other Poker Rooms online. The software, from what I know, has been around for over 10 years, so it is a proven commodity. I really do like the look and all the features of their software.